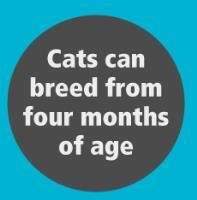 Cats begin to reproduce when they are still kittens themselves, by having kittens this young it can have detrimental effects on the health of the cat and so having them neutered before this can occur is recommended. 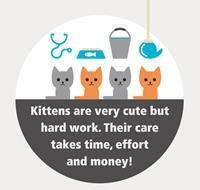 There are around 2.5 million stray cats across the UK - mostly they are a result of unneutered cats. 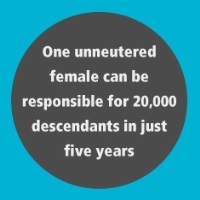 This could be from unneutered pets wandering away from home to look for mates, kittens born outdoors which have not been socialised and feral colonies continuing to breed and exhausting their resource. 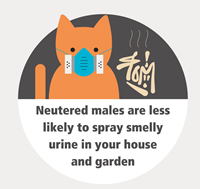 The cost of neutering varies on veterinary clinic and location - average cost is around £40 for male and £65 for females. Lots of vets have monthly payment plans that give you a discount on neutering and include all flea and worm treatments. 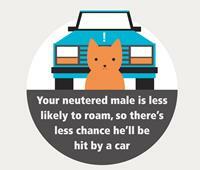 Please also consider microchipping your cat at the time of neutering. 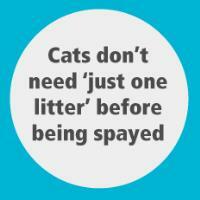 Microchipping is harmless to cats and allows them to be easily reunited with owners if they were to go missing.